The electronic Integrated Disease Surveillance and Response system (eIDSR) was created to improve the flow of information within health systems. Paper-based methods present challenges that make health and disease data reporting time-consuming and error sensitive, resulting in questionable credibility and completeness of information. 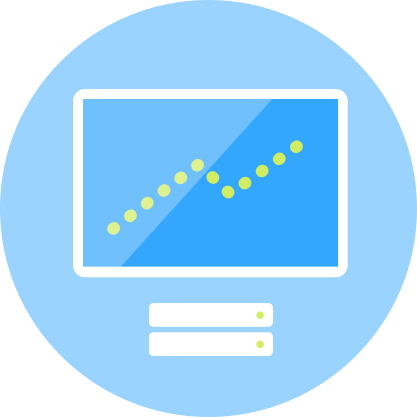 Our approach is a purpose-built digital data collecting and reporting tool. The tool is integrated in the national health system through its compatibility with the health information system DHIS2 which is used in over 45 countries, including many with vulnerable health systems. Our regional knowledge enables us to incorporate features that tackle challenges such as low connectivity and inconsistent power availability. Reinforced by expertise in expansive implementation, targeted training, mentorship and the delivery of necessary logistics and hardware, we present a stellar solution for health data collection and reporting. From health workers in hard-to-reach rural areas up to health officials in the major urban centers, eIDSR connects the health system to generate a clear and accurate picture of the population health landscape. Public health workers are frontline responders during disease outbreaks. In order to prevent diseases from spreading, they need to be able to alert authorities quickly and accurately in order to ensure they get the right resources at the right time in order to keep communities healthy. To overcome the challenge of paper-based reporting, we created a time-saving and error-reducing tool for data collection and reporting that could be built upon an existing infrastructure. through a simple user interface and reliably online or offline. online, per short message service (SMS) or store data and submit automatically as soon as an internet or mobile connection is available. using DHIS2 dashboards, visualizations and reports to make informed decisions for the health system. eHealth Africa’s eIDSR makes it possible to accurately record case-level or community-level data for analysis and decision-making at scale. In contrast to the traditional health facility paper-based system which requires data to be re-entered electronically at the district level, the eIDSR mobile application collects and reports data from the community level up to the national level. The user-friendly interface makes it easy to train new users with little or no smartphone experience. The new system reduces the risk of errors through mechanisms including data validation and improving the accuracy of the data submitted by health facilities before it is seen on the district level. Barriers, such as poor connectivity in remote areas, are overcome by the capability of the application to submit data via internet, SMS, or to save data offline and automatically submit as soon as a connection is available. Since it is built on the infrastructure provided by DHIS2, a health information system used in over 45 countries, it allows data to be visualized which provides insights into the state of public health. This information can then be used by health system decision makers to form near real-time decisions about any potential disease outbreak. We have credibility and experience in the successful launch, implementation and technical expertise of eIDSR. 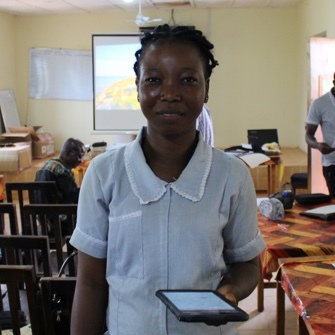 As proven through pilot programs implemented in six health facilities located in Sierra Leone’s Port Loko district and planned releases in two of Liberia’s districts, we offer a user-friendly solution that enables public health workers to collect, report and analyze data on one platform. The 2014 Ebola outbreak highlighted the need for a swift and modern surveillance system for priority diseases. In collaboration with Sierra Leone’s Ministry of Health and Sanitation (MoHS), the U.S. Center for Disease Control and Prevention (CDC), the World Health Organization (WHO), and additional partners, we have been rolling out eIDSR in Sierra Leone. Current IDSR data submission process in Liberia relies on paper, phone and excel files. Problems with this system include issues with data quality and consistency, data security, manual aggregation process and timeliness of reporting. To combat the problems and the scarce internet connectivity, a Windows application for case entry at the district level was developed. The application allows the District Surveillance Officer to submit cases locally without internet connection. The eIDSR mobile app is the fastest way to send information. The feedback from the six facilities was good. This prompted us to roll out to other facilities and even the entire country. Looking at what we have been doing before and what we have gathered from them, with regards to the time period that we have done the piloting, it is much more satisfactory with the collection of data [with] eIDSR [compared to] the paper based or the Excel version. It minimizes a lot of discrepancies and it reduces the time of reporting and it helps us to take real time action with regards to disease investigation and reporting. It will improve the health system, health communication, health information management, so that we as health workers or at ministry level will be able to take prompt and efficient decisions. We still want assistance from eHealth Africa because there are other areas [where] we still need to strengthen the health system. We only had 65 public health units (in this roll out period), yet we have 111 PHUs. We want all of them to be trained in eIDSR, so that data management will be improved in the district. Because here in some areas we have problems with [the] network, some villages are not motorable, it takes longer time for the health staff to bring their report to the district where it will be imported in a timely manner.